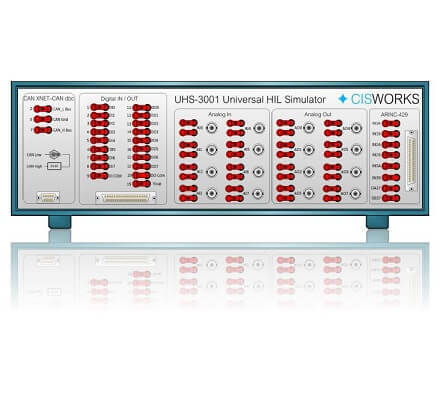 We have taken the most important functions of an HIL simulator and implemented them in a space-saving and cost-effective test rack. As a National Instruments Alliance Partner, we, of course, looked to the proven modularity of cRIOs and based our design on the same principle to provide high flexibility. Benefit from years of experience of our proven team and let us know your individual needs. This flexibility, combined with our team's years of experience, allows us to offer a hardware solution tailored to fit your needs. Controller with Dual-Core-Processor, NI Linux Real-Time, Gigabit-Ethernet, USB, 2x RS232, Mini Display Port.